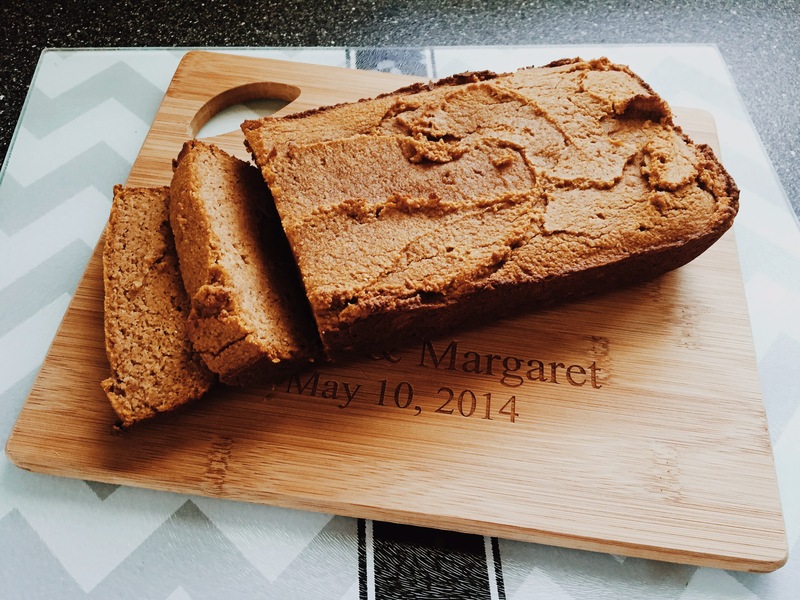 Since it’s almost the first day of Fall (September 22) and I’ve been craving everything pumpkin, I started looking for a gluten free pumpkin bread recipe on Pinterest. And of course, Pinterest did not disappoint, I bet I found 50 or more (in the first 5 minutes of looking) different recipes. I chose the one with the least amount of ingredients because that’s how I roll and started baking! I wish so badly there was a scratch and sniff on y’alls computer screen because IT. SMELLED. AMAMZING. while in the oven!! Preheat oven to 325 degrees F. Combine all wet ingredients in a bowl. Combine all dry ingredients in another bowl. Mix both bowls together until well incorporated. 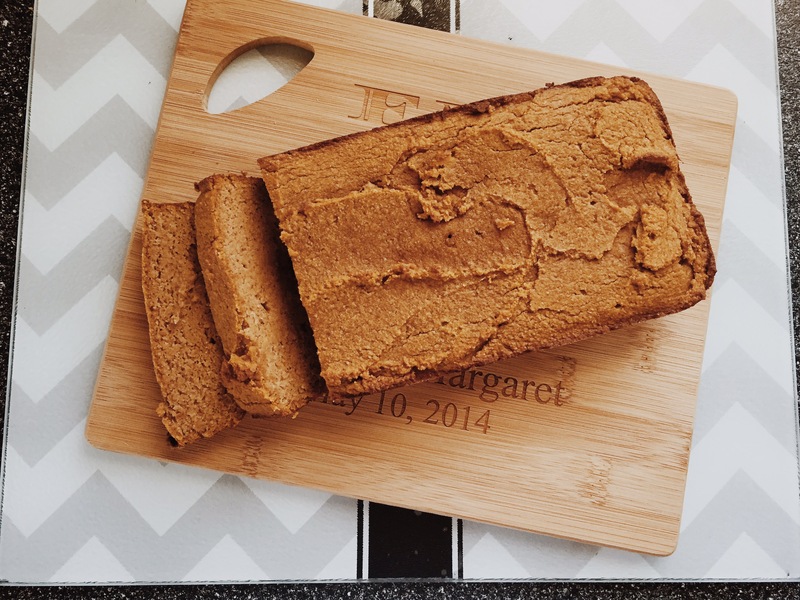 Pour into greased loaf pan (I used coconut oil spray) and bake for 45-60 minutes. Hope you all enjoy this recipe as much as I have and thanks so much for stopping by!